This is the perfect summer dessert when you’re over summer and looking forward to cooler weather and the foods that go along with cooler temps, like hot chocolate! This week’s Tuesdays with Dorie’s recipe tasted heavenly to me. It was cold, silky smooth and refreshing. At the same time there was no mistaking the flavours of a good hot chocolate. It’s still summer in Australia and we have had temps that have sat around 30 degrees celsius (that’s mid to high 80’s in fahrenheit) or above, pretty much every day this month. It’s starting to wear thin! I’m ready for some diversity, a little bit of cool weather, maybe throw in some rain! Dorie’s recipe felt like it fit perfectly with where I am at. Hinting of cooler weather pleasures but satisfying the need for food that is still cold and refreshing. What we have been taking advantage of this summer are the long days. Going for walks at 7 and 8pm at night along Manly beach. The tourists have gone home for the day and the ocean breeze is a welcome relief. And it’s a great way to walk off all the desserts I’ve been enjoying from Baking Chez Moi! I am looking forward to reading what everyone else in the group thought of this dessert. We decorated our hot chocolate panna cotta with cream and raspberries to make it look pretty for our dinner guests. So the following day I made it again and I have to say, it doesn’t look as pretty, but I preferred it like this. The hot chocolate flavour was clear and the texture reminded me of the puddings my mum used to make for me when I was a little girl back in Yugoslavia. 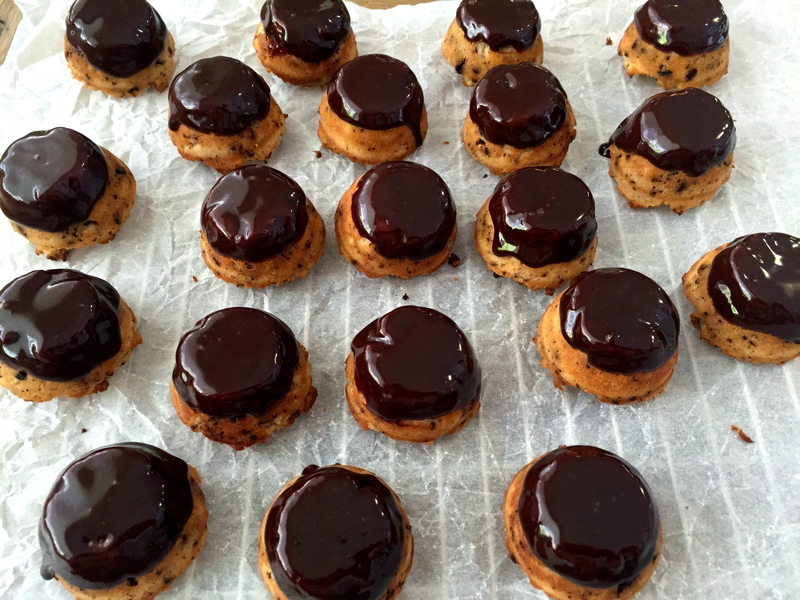 Tags: chocolate, cooking, dorie greenspan, food, panna cotta, Tuesdays with Dorie | Permalink. These were so quick and any easy to make! Melt some butter and chocolate together until smooth and glossy. Beat some eggs with sugar until fluffy, throw in a couple of spoons of flour. Fold the chocolate mixture into the egg mixture and cook 10-12mins. Very little effort for an amazing outcome! I have been craving Black Forest Cake, it’s a favourite of mine. So I took Dorie’s suggestion and threw in Morello cherries. I’m also not a big chocolate fan, I do like it though when there is another flavour to break up the sweetness. The tart Morello cherries tasted amazing in these little teacups. The only problem I had with this recipe is that makes 4 cups and we are a family of 5! As soon as I made these, my husband and I had to run off to the Year 10 Information Night at my son’s school. When we returned, the kids were kind enough to leave us one cup to share. I will definitely be making these again, they are too easy and satisfying not to! Everyone loved them. I am looking forward to reading what the rest of the Tuesdays with Dorie group thought. Tags: baking, cakes, cherries, chocolate, cooking, food, Tuesdays with Dorie | Permalink. That sums up nicely this week’s Tuesdays with Dorie recipe! The problem for me however was that two out of my three children have nut allergies. So after a little bit of research, I substituted almond flour with coconut flour. I had read that coconut flour absorbs a lot of moisture and can result in a dry and flaky end product. Google had many suggestions on how to fix this little problem and to be honest the more I read, the more I felt overwhelmed with ratios, quantities of eggs and liquids etc to add moisture. So I decided to keep it simple and keep the almond flour and coconut ratio the same, I replaced the cup of almond flour the recipe called for, with a cup of coconut flour. I mixed the flour into the egg whites as the recipe instructed and then I added a cup of milk to the mixture before following the rest of the recipe as it is in the book. My little cakes didn’t rise with baking and I was worried! However I pulled them out and they turned out amazing. The outside was firm and the inside was moist and delicious. 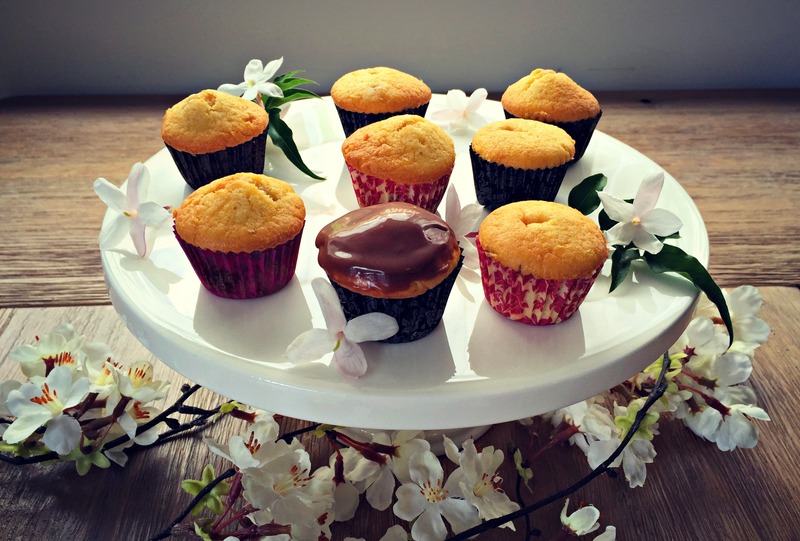 Tags: baking, cakes, chocolate, food, muffins, recipes, Tuesdays with Dorie | Permalink. This week is catch up week for the Tuesdays with Dorie group. Which is great for me since I have a lot to catch up on! The Nutella Buttons were an easy choice. We are a Nutella loving family! My daughter turned 18 a few weeks ago and her friends arrived with a 5kg tub of Nutella. 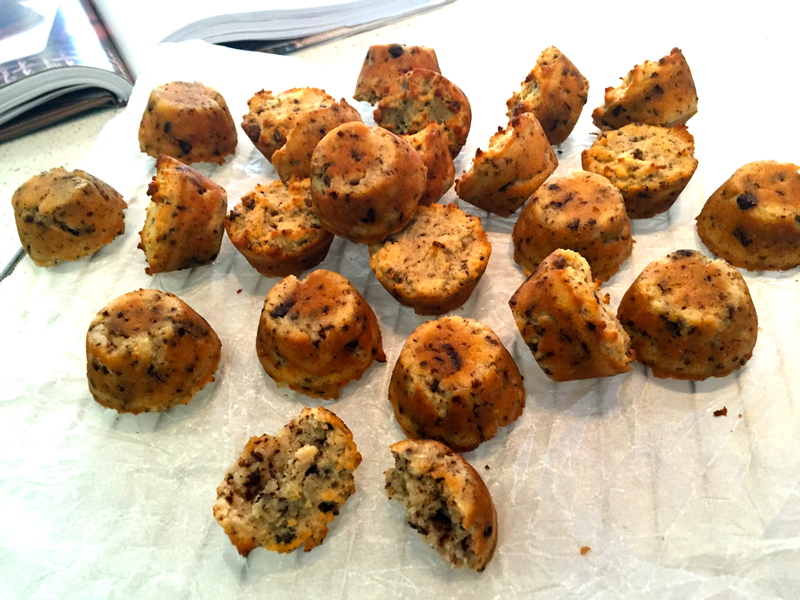 So when completing this week’s recipe I took Dorie’s suggestion and filled some of these bite sized mini muffins with jam. It’s school holidays here so these didn’t last long. They were delicious! Looking forward to reading the rest of the Tuesdays with Dorie posts. 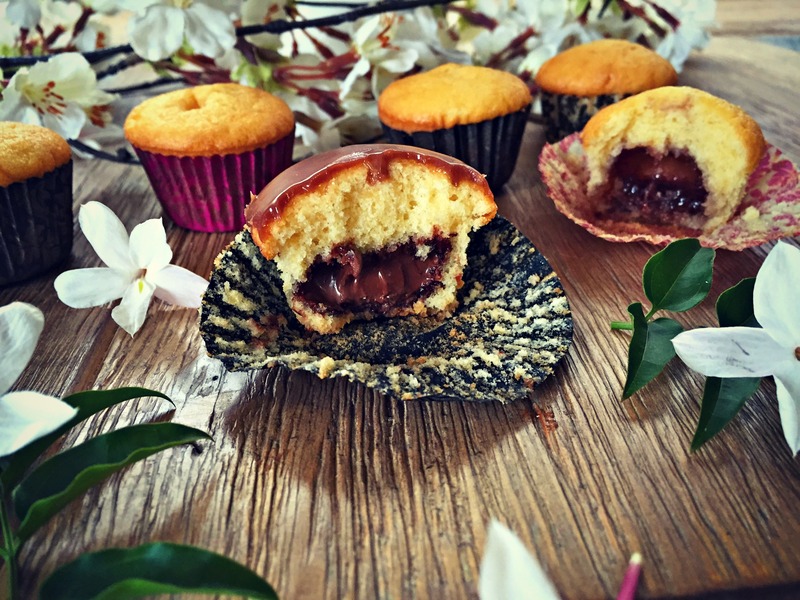 Tags: baking, chocolate, cooking, food, muffins, nutella, Tuesdays with Dorie | Permalink. Maybe it’s just me, but I can’t help think “best ever” claims just invite trouble! It’s what makes life interesting. However when it comes to these brownies, I kinda sorta feel the claim is justified. 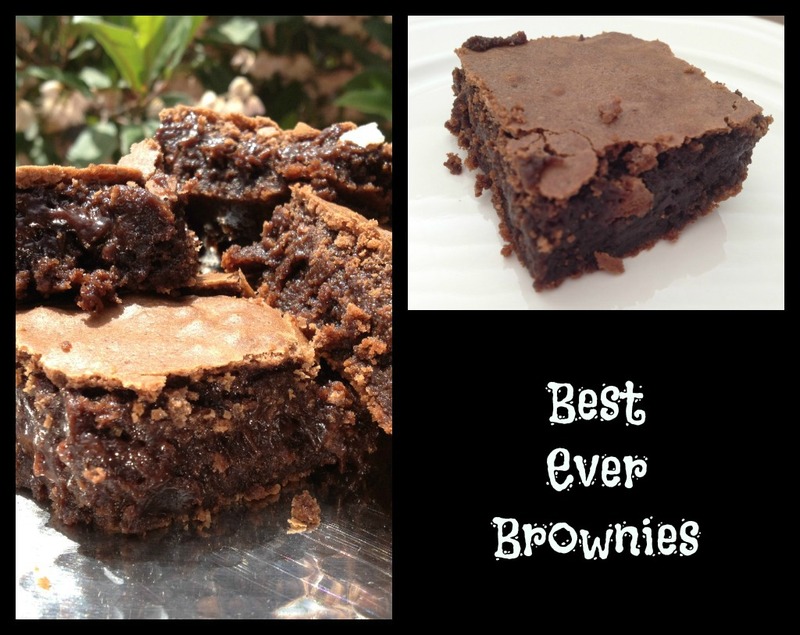 These really were the best brownies I’ve ever had! And I’m not even a chocolate lover. I knew these brownies were meant to be gooey and fudgey so I fought my natural inclination to keep cooking them until I felt comfortable. I took a deep breath and removed them from the oven at 28 minutes. I figured my husband and kids fight over cake batter, so barely baked brownies would not go to waste! I did not expect to love these so much! And we all agreed the wet gooey bits were far superior to the better cooked cakey edges. I used 2 ounces of Cadbury Milk Baking Chocolate and 4 ounces of Lindt 70% cooking chocolate. So I’m not sure if my milder, sweeter choice in chocolate made a big difference. But I’ll be definitely making these again. The entire tray was gone by the next day! 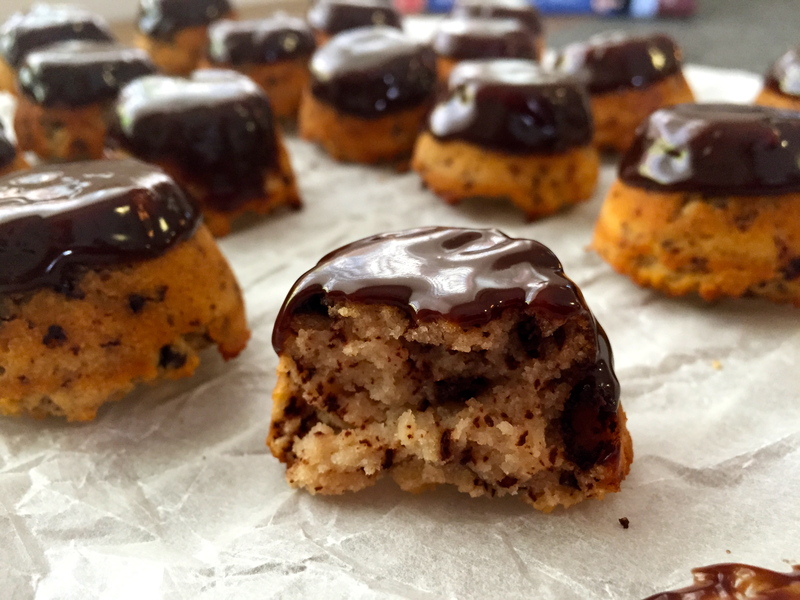 If you would like to try these for yourself, Monica from A Beautiful Mess is this week’s Tuesdays with Dorie: Baking with Julia host and has the recipe available on her site! Tags: baking, chocolate, cooking, dessert, food, recipes, Tuesdays with Dorie | Permalink.